Nobody promotes a fight by admitting its irrelevant. So on Thursday, it was not exactly bold of IBF heavyweight champion Anthony Joshua (18-0, 18 knockouts) to describe Saturday's title defense against challenger Wladimir Klitschko (64-4, 54 KOs) as "a pivotal moment for boxing." The fact that 10,000 additional seats were needed to accommodate the post-war record 90,000 spectators for Saturday's fight at London's Wembley Stadium strongly suggests that Joshua is right. Exactly how Saturday's blockbuster bout will change boxing is unclear. 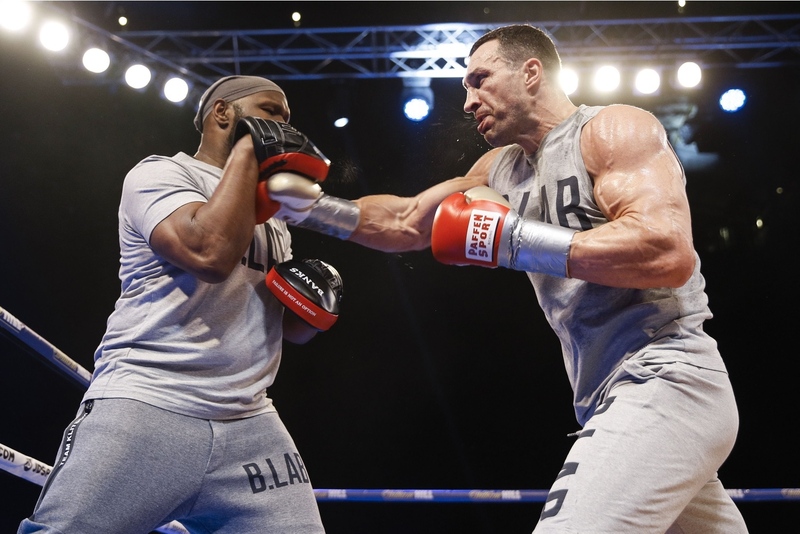 For many in the United States, where boxing struggles to compete with major team sports, Joshua-Klitschko has the potential to resuscitate the heavyweight division—something Americans previously dominated for decades. Obviously neither the British Joshua or the Ukrainian Klitschko are Americans (the latter has a child with American actress Hayden Panettiere, his longtime partner). However, a Joshua win would likely mark the end of the insufferably boring Klitschko era that began when older brother Vitali, now mayor of Kiev, began dominating the heavyweight ranks in the early 2000s. Even Wladimir himself admitted to the Associated Press that the division was galvanized by his unanimous-decision loss to Tyson Fury in 2015. "You can like me or hate me but when one person conquers it all, it is boring," Klitschko told the AP. "I totally get it." By vanquishing the specter of Klitschko from the heavyweight ranks, 27-year-old Joshua would finally give Americans a reason to watch heavyweight boxing again: a potential matchup with WBC champion and Alabama native Deontay Wilder. "I think there is a certain cachet that the heavyweight division has always had," said Showtime Sports executive vice president and general manager Stephen Espinoza. "The thing that Deontay Wilder has been lacking is good, quality opponents. No one ever truly becomes a star on his own. You need career-defining fights and career-defining moments. Anthony Joshua has one in Klitschko. You can argue that Deontay really hasn't had that opportunity." And it's not like Wilder (38-0, 37 knockouts) hasn't tried. The 6-foot-7 former Olympic bronze medalist was willing to travel to Russia to face Alexander Povetkin in May of 2016 until the former gold medalist tested positive for the banned substance meldonium. To stay busy, Wilder knocked out Chris Arreola and Gerald Washington in front of modest crowds in Birmingham, AL, but he's never come close to anything like the opportunity Joshua is getting on a world stage this Saturday. "If it were just solely up to me then I'd be 1,000 percent confident [the fight would get made], but it's not just me," said Wilder, who will be in attendance at Wembley on Saturday. "That's what the fans want. I've been wanting to give the fans what they want my entire career. Unfortunately, I am one of those fighters that's always getting the short end of the stick. I only can work with what I can work with." The simple fact that Joshua's fan base is largely British helps Wilder's cause. The sport is enjoying a revival in the United Kingdom, which can claim 11 boxing medals over the last three Olympic games and ten current men's professional champions. But as their countrymen have become more successful in the ring, British fans have grown more demanding outside of it. Unlike America, where lucrative television rights can compensate for lackluster ticket sales, the British boxing industry relies on the gate. And discriminating fans in the U.K. don't put up with any crap. 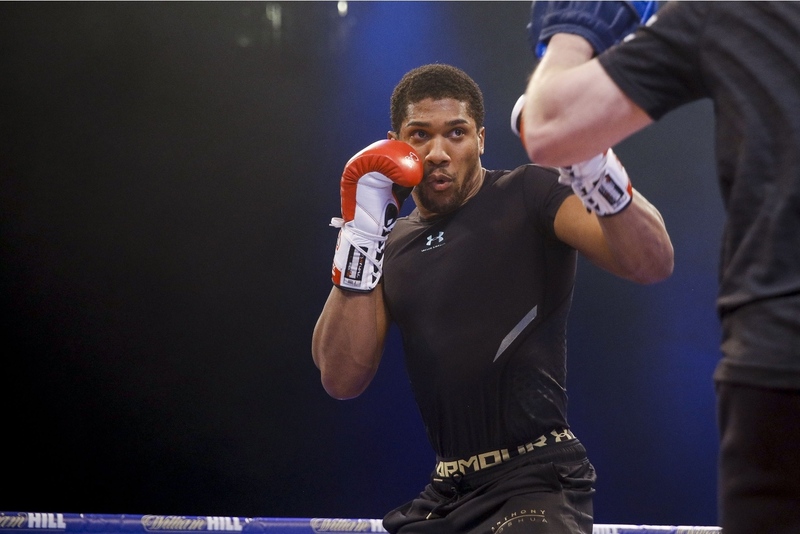 "You have to take gambles," said Joshua's promoter, Eddie Hearn of Matchroom Sport. "And as fans become more knowledgeable about the sport, they won't have [bad] matches." Joshua, for his part, seems accommodating. "Wladimir Klitschko, Deontay Wilder, let's keep it going," he said. "Let's start mixing it up because we're in the same division, and it's our era. What type of era are we if we don't come together and have some trilogies and bring some excitement? So I'm all for it and that's why I really wanted to take the fight." Obviously any number of things can derail Wilder's chance at a first true test, and by extension, America's chances of embracing the heavyweight division again. Even though he lost his titles to Fury—who has since tested positive for cocaine before taking a sabbatical to address issues with depression—Klitschko is still Klitschko. At 6-foot-6 and around 250 pounds, he's a physical marvel. He defends himself well, he punches as hard as anyone alive, and he has the experience of 68 professional fights. But beyond that, questions still remain about Wilder. A latecomer to the sport, he admittedly has an usual, almost flailing that belies his prodigious power. And for all of his success in America, even Wilder confesses he gets recognized more often in England than he does when he's stateside. That's not as much of an issue if Wilder is fighting on network or cable television, but it's a tremendous obstacle if he and Joshua were to meet on pay-per-view. (Saturday's fight is £19.25 on Sky Sports in the U.K., but free in America and will be broadcast live on Showtime at 4:15 p.m. ET followed by a rebroadcast on HBO at 11 p.m. ET). 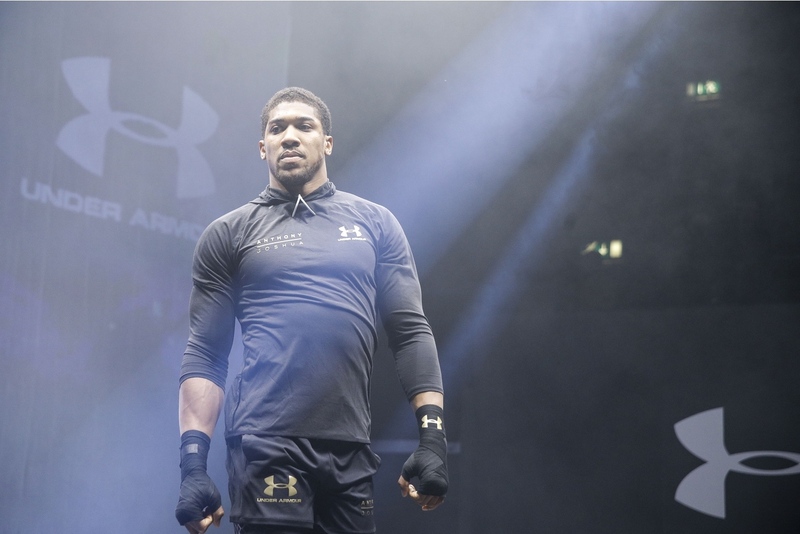 "I'd like to be in a position where Anthony Joshua becomes a pay-per-view fighter in the states," Hearn said. "And I think a fight between Anthony Joshua and Deontay Wilder, if built right, could be a pay-per-view fight. I've had arguments with [Wilder promoter] Lou DiBella about this. I don't think Wilder has a profile that's big enough. And I'm not saying that Anthony Joshua does. Deontay Wilder is an excellent fighter who is exciting to watch, who has a big personality, who, in my opinion, should be a household name." DiBella did not immediately respond to requests for comment. The good news, according to Espinoza, is that Wilder-Joshua isn't the only fight that can move the needle. The heavyweight division has been quietly improving thanks to fighters like WBO champion Joseph Parker (22-0, 18 KOs) and even Brooklyn native Jarrell Miller (18-0-1, 16 knockouts) is starting to generate some championship interest. "So once you get a Joshua, a Wilder, a Joseph Parker, a Luis Ortiz—maybe something depending on what the future holds for Klitschko and Fury—a young guy like Jerrell Miller, [then] all of the sudden you have an interesting division," Espinoza said. "Not just an interesting guy, but an interesting series of fights."